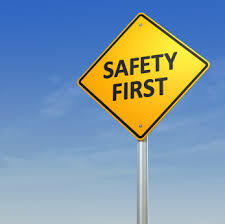 Sept. 6-12 was Brake Safety Week, sponsored by the Commercial Vehicle Safety Alliance (CVSA). This is an annual outreach/enforcement campaign that is designed to boost commercial truck brake safety throughout North America. According to the CVSA, brake-related violations comprise 46% of all out of service violations that were cited during the International Roadcheck campaign last year, which was focused on trucks and truck drivers. Inspectors also inspected brake components and measured pushrod stroke when necessary. Last year, inspectors and law enforcement from agencies across the US and Canada did 13,305 inspections and put 2162 commercial trucks out of service for brake violations. More than 3.4 million brakes have been inspected since Brake Safety Week started in 1998. Our Virginia trucking accident attorneys have been involved in far too many preventable truck accidents that were caused by poor vehicle maintenance. We applaud the efforts of the CVSA to improve the brake performance of commercial vehicles throughout North America. Many accident cases we are involved in are due to failed brakes or tires that the trucker or the company should have been aware of. A truck driver should check tire wear, tire pressure and brakes before starting on a delivery. If a driver does not do these required pre-trip inspections, they or the trucking firm can be liable for damages that are caused by tire or brake failure. If the truck company has a third party who maintains the brakes, then that company could be liable for any damages caused in an accident.